Protect your data against unauthorized access, use, disclosure, disruption, modification, inspection, recording or destruction of information. Does Security7 Networks provide Information Security Services? Security7 Networks has over 20 years combined experience in providing information security services & solutions to SME (small to medium-sized enterprise) customers. 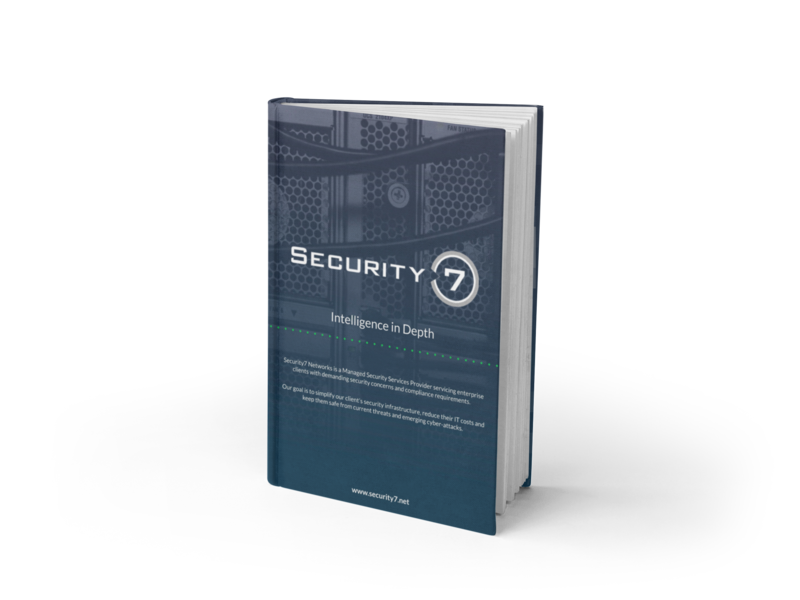 By leveraging that experience in conjunction with technology provided by our trusted partners, Security7 Networks can offer intelligence in-depth IT solutions that will keep your systems safe and make sure they function normally. "Knowledgeable, professional, proactive and AVAILABLE! We migrated from a network supplied and managed by a huge provider with so many departments and layers within departments it was near impossible to get things done. Security7 got our 18 branches up and running nearly seamlessly and when issues arose, solutions were implemented immediately."